Most films rely on a script developed in pre-production. Yet beginning in the 1950s and continuing through the recent mumblecore movement, key independent filmmakers have broken with the traditional screenplay. Instead, they have turned to new approaches to scripting that allow for more complex characterization and shift the emphasis from the page to performance. In Rewriting Indie Cinema, J. J. Murphy explores these alternative forms of scripting and how they have shaped American film from the 1950s to the present. He traces a strain of indie cinema that used improvisation and psychodrama, a therapeutic form of improvised acting based on a performer’s own life experiences. Murphy begins in the 1950s and 1960s with John Cassavetes, Shirley Clarke, Barbara Loden, Andy Warhol, Norman Mailer, William Greaves, and other independent directors who sought to create a new type of narrative cinema. In the twenty-first century, filmmakers such as Gus Van Sant, the Safdie brothers, Joe Swanberg, and Sean Baker developed similar strategies, sometimes benefitting from the freedom of digital technology. In reading key films and analyzing their techniques, Rewriting Indie Cinema demonstrates how divergence from the script has blurred the divide between fiction and nonfiction. Showing the ways in which filmmakers have striven to capture the subtleties of everyday behavior, Murphy provides a new history of American indie filmmaking and how it challenges Hollywood industrial practices. "J. J. Murphy's love and passion for U.S. indie cinema is evident on every page. His in-depth dissection and analysis of trends in the cinematic arts show us that the medium is still evolving, and different approaches to screenwriting, directing, and producing films are what keep it alive." Rewriting Indie Cinema exemplifies one of the best things cinema scholarship can do: it demonstrates an important continuity within a wide range of interesting films while providing the general film-interested reader as well as the academic film historian with a new list of accomplished filmmakers to explore. Murphy is the person to mine the considerable territory between comparatively big-budget indie filmmaking based on screenplays and the free-form experimental filmmaking of Warhol. Rewriting Indie Cinema demonstrates that independent U.S. films since the 1950s have explored many paths between pure improvisation and the script-based pre-production of classical Hollywood cinema. Murphy wears his erudition lightly, and the continuities and distinctions that he establishes between methods of improvisation in cinema and theater are lucid, convincing, and well-informed, without the author ever over-theorizing for the sake of it. A fascinating new look at the role played by psychodrama and improvisation in American independent cinema, past and present. 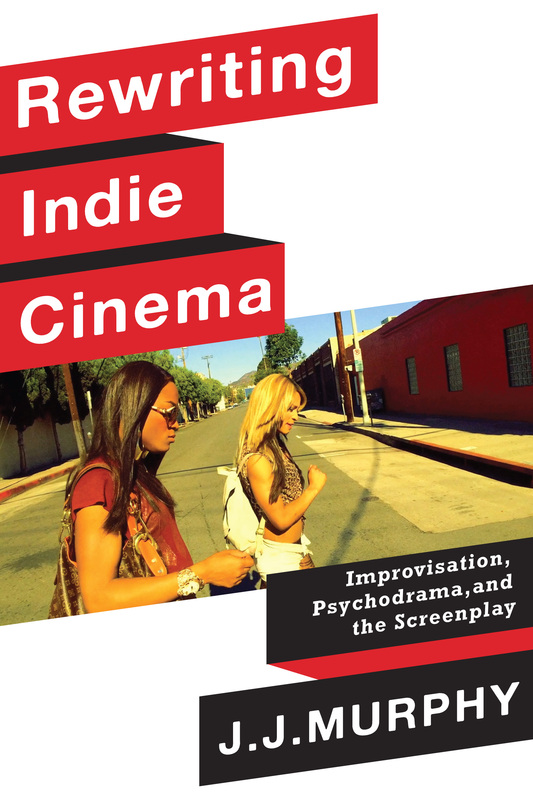 Grounded in detailed case studies, Rewriting Indie Cinema provides a wealth of insights into alternative scripting and production practices that place spontaneity and performance center-frame. J. J. Murphy’s deep knowledge of art and independent cinema shine through on every page.